In a world where there are dragons, wyverns, and haunted squash, you’d figure someone would have recipes for them, right? 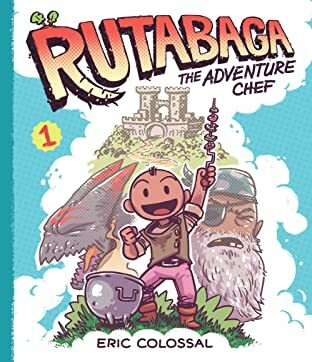 Rutabaga and his magic cooking pot, Pot, join young adventurers Winnifred, Manny, and Beef on a quest to defeat a dragon, discover new ingredients, find monsters to have for and/or to dinner, and to save the day through cooking. 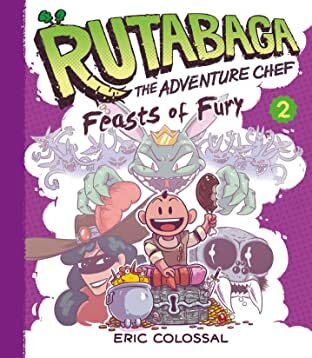 Rutabaga will dare any danger to uncover new tastes, and there’s a whole world full of food to try—from roasted mud leech to spider soup to peanut butter on crackers. His heroic recipes combine real ingredients, fantasy ingredients, and real ingredients that sound fantastical. 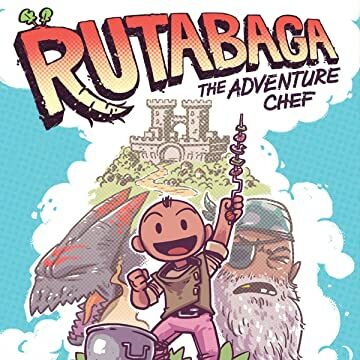 Rutabaga the Adventure Chef is the perfect adventure for any kid grossed out when something weird shows up on the dinner table.